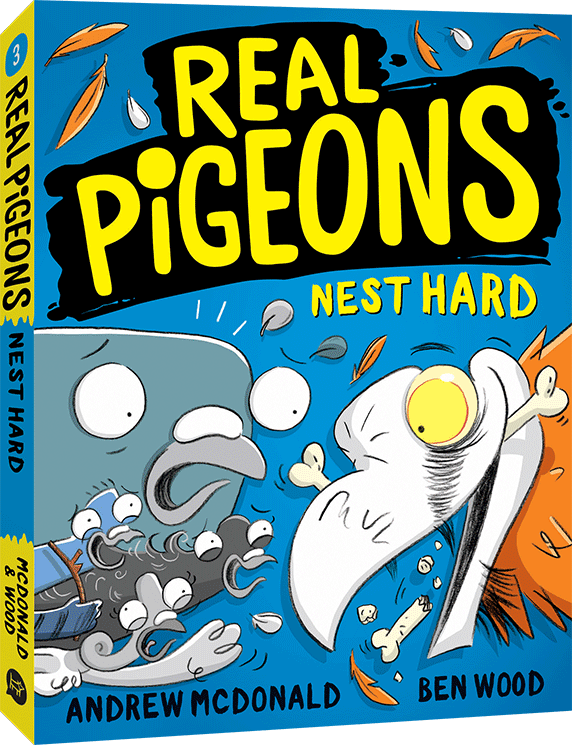 In this hot new series for fans of Bad Guys and Dog Man, the crime-fighting birds known as the REAL PIGEONS have some mega mysteries to solve. Someone has been stealing from a vulture. A beastly child is lost in the park. And Homey’s long-lost family have been bird-napped! But how can you fight crime when you don’t have the perfect nest?? Andrew McDonald is the author of two children’s novels: The Greatest Blogger in the World and Son of Death. Andrew lives in Melbourne with a lovely lady, some cacti and a complete collection of Tintin comics.